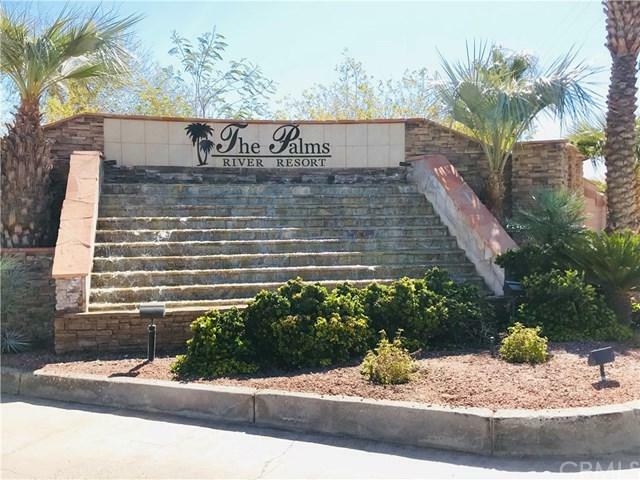 Welcome to "The Palms" where this perfect 2 bedroom/2 bath getaway is located. 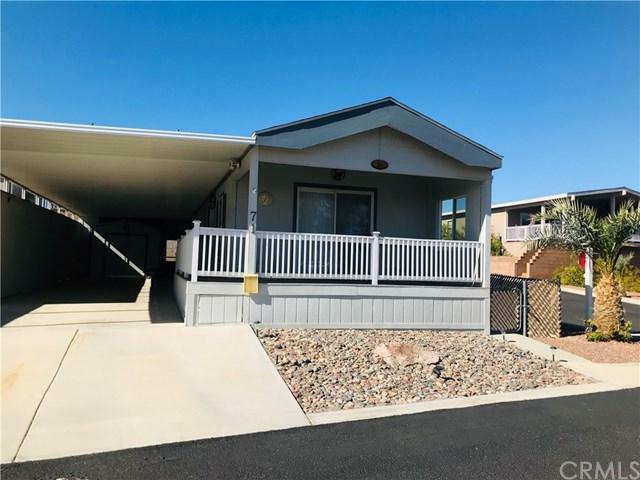 This manufactured home features vaulted ceilings with an open concept living and kitchen area, indoor laundry, 2 bedrooms with 2 full baths, covered carport with a shed for all or your river items. The home comes FULLY FURNISHED and includes all appliances. The land lease amount is approximately $550 monthly, but includes all amenities. 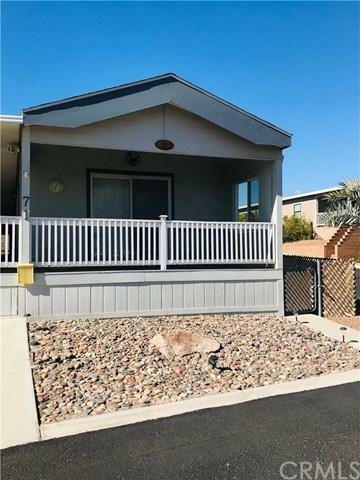 This park is a beautiful quiet gated community with just a short walk down to the Colorado River. 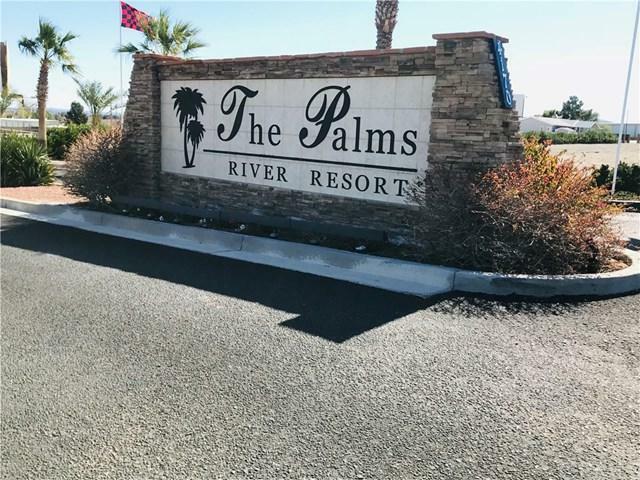 The Palms park includes a private launch ramp, beautiful community pool with a resort feel, private beach area, basketball court, and storage facilities. This home could be your perfect vacation home or everyday home! Listing provided courtesy of Shantell Hazlewood of Resort Realty, Inc.